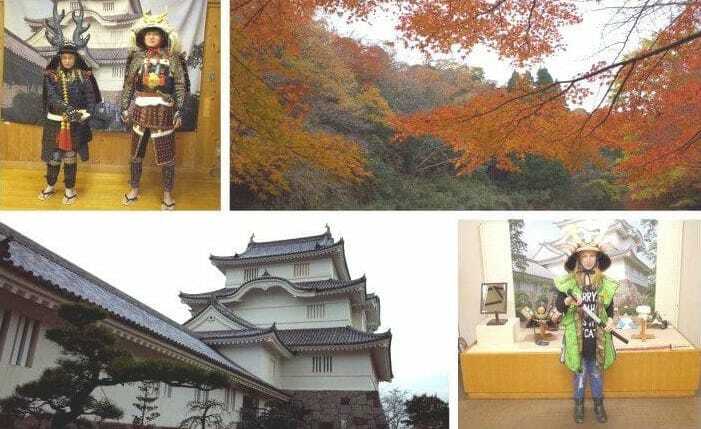 https://matcha-jp.com/en/greatertokyo/5442 A Day Trip To Otaki And Yoro Valley - Travel Back To The Time Of The Samurai! Even though Chiba is a very popular place to visit, being very close to Tokyo, most visitors are not familiar with the beautiful nature of Yoro Valley and the impressive history of Otaki. Let us introduce to you a travel itinerary that will show the hidden and fascinating sides of Chiba. We used the Thank You Chiba Pass for our journey to Chiba. This pass was available until the end of November 2017, but it will probably be issued again next year. A pass like this is the easiest and cheapest way to get to the great locations in Chiba. The “Thank You Chiba Pass” costs 4700 yen and allows you unlimited rides on several participating bus and train lines in Chiba. You can even use it to travel from Tokyo Station to Chiba. The place where you can inquire about convenient tickets and purchase them is the Midori no madoguchi (The Green Ticket Office) located within major JR stations. In order to travel to Chiba, take the Sobu Rapid Line train headed to Kimitsu. At Goi Station, change trains to the Kominato Railway line towards Kazusa-Nakano. If you can follow this itinerary, you should be able to catch the train departing at 9.09. You will get off the train at Yoro Keikoku Station, which is one station before the last station. Kominato Railway is quite old fashioned which makes for an experience you don’t really come by in Tokyo. You can see the train conductors getting off at each station to check if all the waiting passengers got on the train. Take bus No. 1 departing from the bus stop n front of Yoro Keikoku Station and get off at Onsenkyo Iriguchi (Hot Spring Valley). Once you get off the bus you will see a red bridge with two arches. Walk over this bridge and start climbing the stairs up the hill. Take your time to enjoy the beautiful nature surrounding you. After about 10 minutes, you will reach Rikkokuji Temple. It is said that an ancient military commander offered his prayers at this temple. After this, people started to call this temple Shusse Kannon. Shusse means success in life and Kannon is the name of the goddess of mercy in the Buddhist tradition. The temple is surrounded by trees that change colors each season. The temple grounds are very quiet, making it the perfect destination for gathering your thoughts. Access Take the Kominato Railways bus from Yorokeikoku Station and get off at the Onsenkyo Iriguchi bus stop. It is a 10 minute walk from there. After you make your way back over the bridge, please turn right. There is a small little hill leading down to the water. Here you can refresh your feet in the water before moving on to explore the area. There are several points where the river can be crossed, as there are big stone blocks sticking out of the river which you can use to walk to the other side. It might seem a little scary at first but they are not as far apart as they seem to be. It is actually a lot of fun jumping from one platform to another. The river is surrounded by a beautiful forest. In autumn, the trees are dyed in deep reds and yellows while some of them remain a dark green. You can find momiji, the stunningly red Japanese maple leaves, covering the track wherever you go. Every time you think you reached a dead end, a new path is opening up. After a 30 minute stroll, you will reach a street and a tunnel. Make sure to turn around when you go through the tunnel. The tunnel is lit up and will allow you a forest view which looks like it had been taken out of a painting. After you come out of the tunnel, you will face a street again. Cross this street and get on the bus that stops on the left side of the street. Get off the bus at Oikawa Station. You will most probably be hungry after all the exploring so drop by the Yoro Valley Tourism Association to enjoy some of the delicious local foods. Their specialty is sushi rolls wrapped in egg instead of seaweed. The display is really beautiful. The sushi rolls feature flower pictures created using pink rice, spinach, and seaweed. The Flower Sushi Rolls come together with Inari-zushi (vinegared rice wrapped in fried tofu skin) and two small sushi rolls with pickles. Another recommended item is their handmade mochi (sweet rice cakes). You can choose among various toppings. Red bean paste, kinako (roasted soybean flour) and grated radish where the three flavors available at the time we visited. The mochi with the kinako topping has a very soft sweetness and a slightly salty taste. The soft mochi creates an interesting contrast to the powdery topping. The grated radish mochi is quite rare and we recommend it if you are not especially fond of sweets. It basically has a very fresh taste with a slight saltiness that comes from the soy sauce. Aside from the homemade food, there are local fruit and vegetables which you can purchase here, such as yuzu or mountain potato. Fixed holidays Wednesdays, New Year's (Dec. 29th - Jan. 4th). * During Golden Week (beginning of May) and in November during the autumn leaves season, the center is open every day. 13:40 -- Let's Head to Otaki! When you come out of the parking lot, turn right and cross the street to go to the bus stop located beside the big wall. The bus that stops here will take you to Kazusa Nakano Station. From Kazusa Nakano Station, take the train decorated with adorable Moomins heading towards Otaki Station. After arriving at Otaki Station, you will be able to see the tourist center right when you come out of the station. You will notice some antique lanterns on the way. Otaki uses natural gas to light up their lanterns. This creates a warm, inviting light. At the tourist center, you can gather all the information you need for your visit to Otaki. They have English pamphlets but they also have a multilingual communication device. You simply speak into the device and it will translate for you. The staff will answer in Japanese and the device will translate back into your chosen language. The Otaki Tourist Center has an impressive collection of armor imitations on display as well. They even have an original armor that was used in a battle! Last but not least, you can buy local souvenirs such as sweets and sake at the center. They especially recommend their dorayaki (pancake with a sweet red bean filling) with a picture of Honda Tadakatsu, a famous samurai. These treats are available in two flavors: white bean paste with plum and red bean paste with a marron inside. Languages Japanese. A translation device for English, Chinese (traditional and simplified) and Korean is available. The Toyonotsuru Sake Brewery is a 10-minute walk away from Otaki Station. This brewery has actually played a very important part in the history of Otaki. They started their business between 1781 and 1789. Most of the main building originates from that time. When the Otaki Castle was in need of reconstruction, they introduced a sake called "Otakijo Castle" to the market. With the sales, they raised enough money to actually help reconstruct the castle! The main building is up front, but if you want to buy some of their famous sake you have to enter the backyard of the main building. The shop offers a selection of all the sake they produce here. You can taste some sake as well, to find your favorite one. What's great is that at the brewery they use the same translation device as the tourist center. Otaki Castle is the pride of Otaki. It used to be the residence of the great lord Honda Tadakatsu. The castle is located 30 minutes away on foot from the brewery. If you have some extra time, we recommend you make a left turn and check out the Isumi Shrine as well. This small, traditional shrine used to host most of the local festivals in the olds days. Though it is not certain when Osaki Castle was originally built, what we know for sure is that the part of the castle called Ninomaru, which is still extant, used to be the residence of the lord of the castle. In 1975, the part of the building called Honmaru was rebuilt. Two stories were added to it so that it resulted in a tower which now houses a museum. The museum showcases the history of the castle and of the town surrounding it. They also have a large variety of samurai armors and weapons on display. If you enter the castle you will find a dress-up corner to the left. Here you can try on samurai helmets as much as you want for free! However, if you want the real experience, you should try on a whole armor. The admission to the museum is 200 yen for adults and 100 yen for high-school and university students. Entrance is free for junior high school children and below, as well as for persons over 65 years of age. Please be aware that you need to call beforehand and make a reservation if you wish to try on an armor. There are many different armors to choose from, including the famous black armor of Honda Tadakatsu. They have a selection of kimonos and armors for children as well. The staff will guide you how to put on the armor and actually help you as well. Although these armors might be imitations, they are still very heavy, especially the helmets. The experience is really unique and fun. They even show you how to properly draw out your katana (Japanese sword)! After an exciting day of exploring the beautiful places in Chiba, in order to go back to Tokyo, take the way you came back to Otaki Station. You will probably arrive at Otaki Station around 17:30. From here, you can take the Moomin train back to Ohara Station departing at 17:33. At 18:28 you will be able to catch the Wakashio Line train going to Tokyo Station. The train will travel for a bit more than an hour. Relax and enjoy the ride while recollecting the events of the day. This was a really exciting day trip! We saw the beautiful autumn leaves in the Yoro Valley, visited buildings from the Edo period and dressed up as a samurai. If you love beautiful nature spots and towns which make you feel like you are time traveling, this is the perfect day trip for you!